Some who fly to Iceland are unaffected by troubles in the airline industry. This year, some have even arrived ahead of schedule. They made a safe landing and plan to stay for the summer. We’re talking migratory birds. The first Atlantic puffin known to have arrived was spotted on the Tjörnes peninsula, Northeast Iceland, on March 30, according to the Facebook page of Birding Iceland. On Sunday, they were there by the dozens. 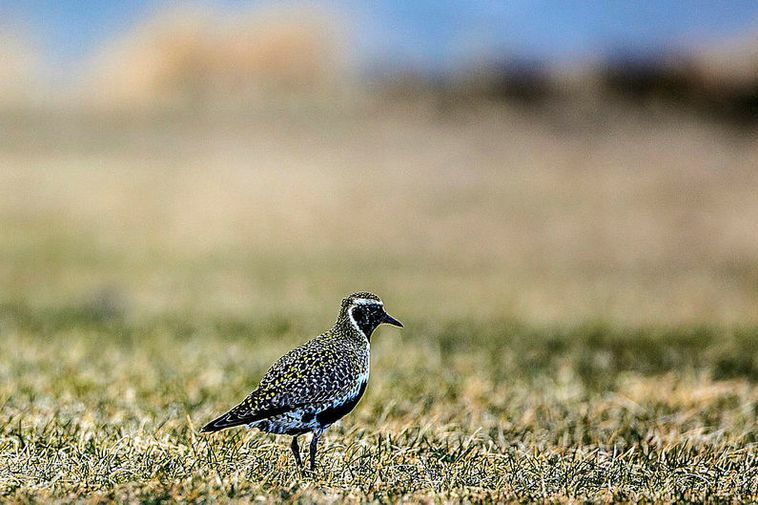 Three European golden plovers were spotted at Stokkseyri, South Iceland, on March 28. The plover, or lóa, is traditionally seen as the harbinger of spring in Iceland, about which numerous poems have been written. Lóa is even a female name in Iceland, as are several other birds’ names. Also on the 28th of March did the first redwings show up in the east and southeast of the country. The past few days have seen pink- and white-footed geese, the common snipe, the meadow pipit, as well as the beautiful black-tailed godwit. Many more are yet to come, sure to be welcomed by all of us.